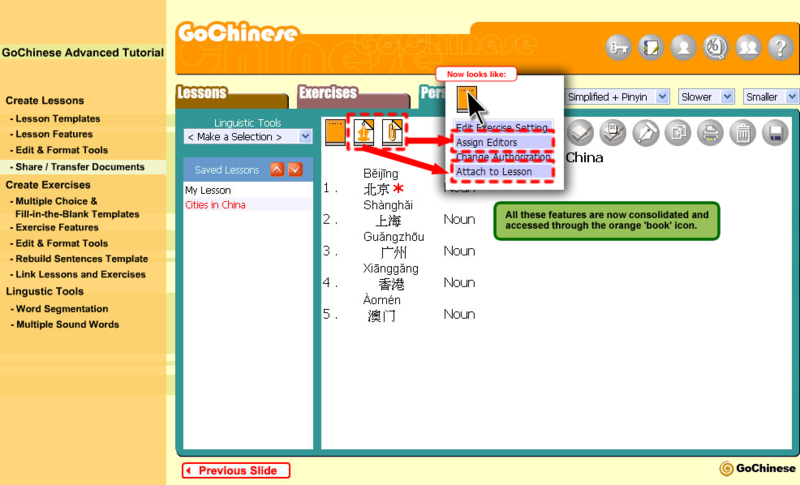 To help you visualize GoChinese, please view our 3½ minute introductory video. 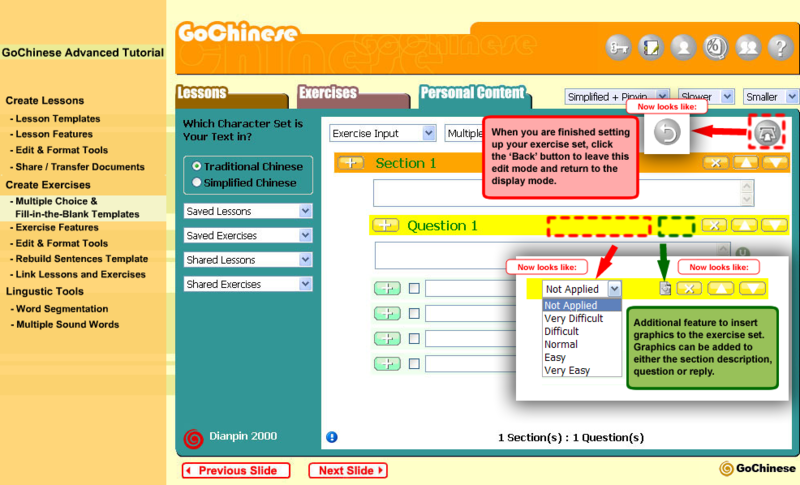 We also have two interactive tutorials that allow you to practice clicking through the major functions, with guidance commentary displayed (based on a previous version of GoChinese). 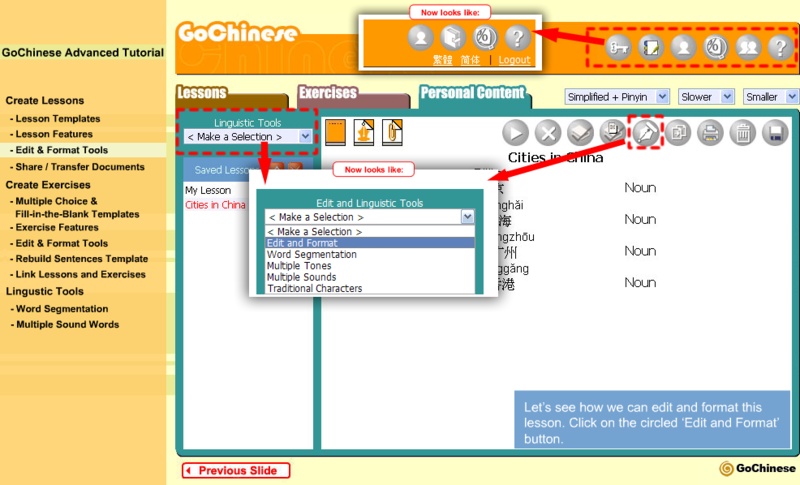 For all users: GoChinese Interactive Tutorial New! Before you begin:123 Please see that you are using Internet Explorer version 6.0 or higher, or Firefox 3.0. If not, please update your browser through the links given in our FAQ. Click to access the Courses & Textbooks section and select a Sample Lesson. 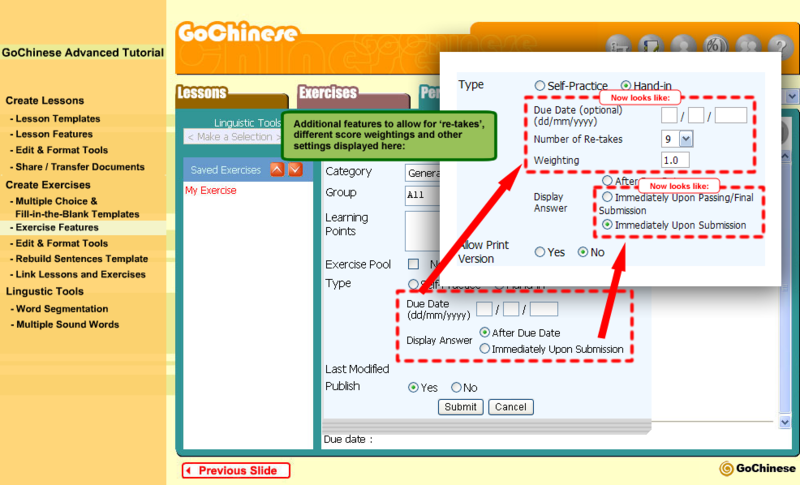 This will bring you directly into a demo account with lessons, exercises and the Personal Content tools. 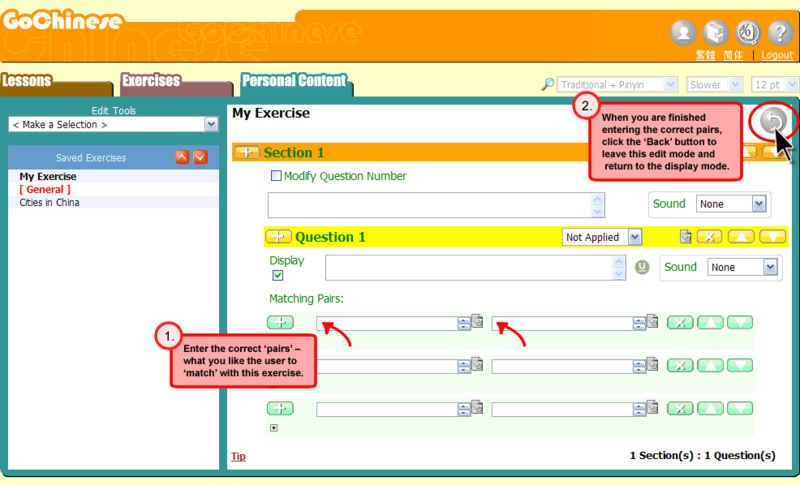 Click Personal Content demo to access an account without sample lessons or exercises. 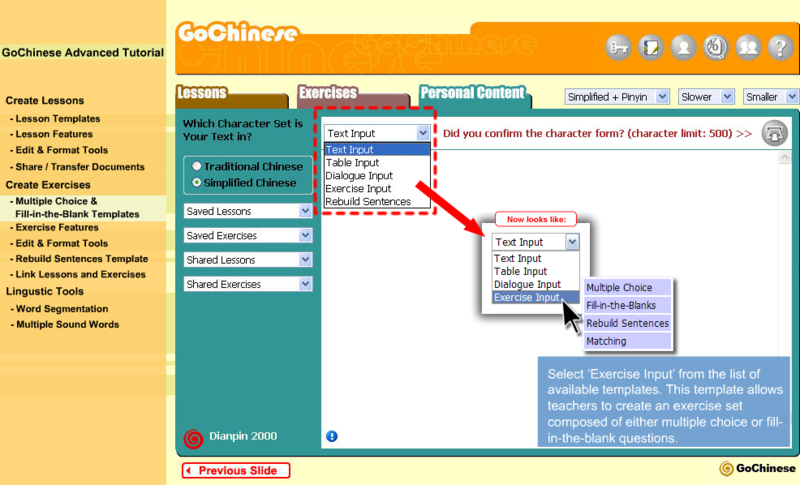 The Personal Content tools allow you to submit any text to hear the voice, view Hanyu Pinyin phonetics, English definitions, both character forms as well as print and save in Podcast / MP3 format. Paste or input your text into the display box of this section. Confirm the character form and press 'Submit.' (If you confirm the wrong character form, error symbols such as '?' or ' ' may appear in your processed text. Just re-submit your text with the other character form selected. Demo users are only permitted to input up to 10 characters at a time. 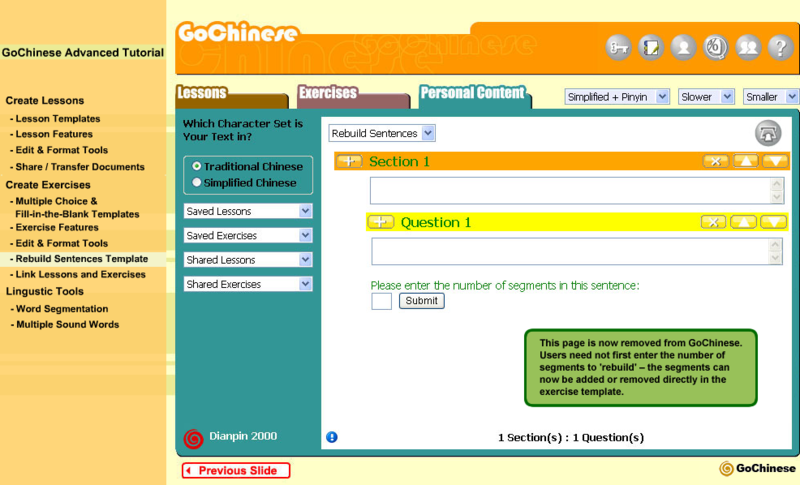 Some user-specific functions, such as saving lessons, score keeping and changing your profile are only available for registered users of GoChinese.